At PGF Integrations we recognize that great Worship engages people on multiple levels, and we believe in using the VISUAL media to help churches impact their congregations with Visual Worship. 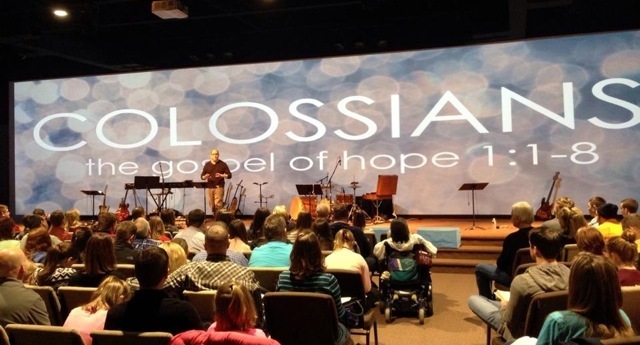 Environmental Projection can create a visual atmosphere that leads the congregation to focus on the message of a song or the heart of the sermon. We want to help you draw your congregation into worship and participation on a deeper level. PGF Integrations can design & install your environmental projection system. We also train your tech team or volunteers how to use the system and help them understand principles of visual worship, so they can also learn WHY we use visual worship. We can also give tips and resources for content. Finding great images is much easier than you think, and we will help guide your team in the right direction so they can discover the unique feel for your church and congregation. Call us today and schedule a demonstration ! 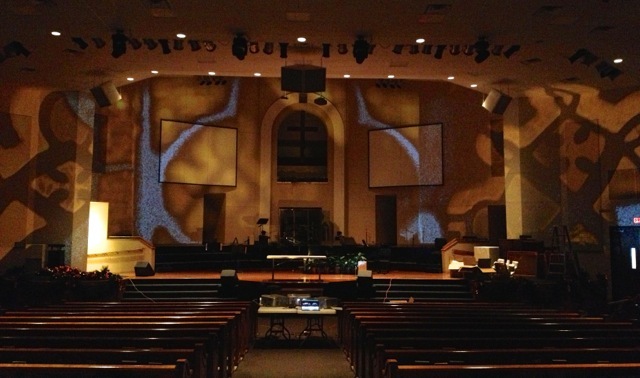 Let us SHOW you how environmental projection can help transform your worship space. click here or call for a free on-site consultation!